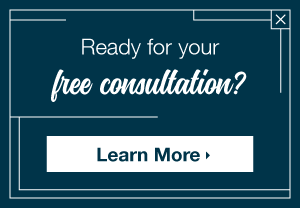 Planning a renovation begins with a free consultation. Our goal is to provide you with a clear vision of your project’s feasibility and projected costs up front; ensuring you remain well informed to best meet your lifestyle needs. Learn more about our two-part process below. Pre-Service Kick-off: We do a little legwork of our own in preparation for our kick-off meeting by completing a short questionnaire over the phone to learn more about your property, your needs and your goals. Additionally, we address existing property conditions, zoning regulations and current market analysis. These critical first steps “set the stage” to make intelligent decisions about the direction and scope of your project. Initial Services Kick-off: Now that we’ve collected information about your property and have a sense of what’s possible, it’s time to share your wish list and financial goals. From bedroom/bathroom count to special amenities, we’ll work together to create a plan that ticks all the boxes while adhering to your bottom line and emphasizing maximum return on investment. Now, the real work begins. An in-house expeditor navigates complicated filing procedures to get your plans approved while you continue collaborating with your project manager, architect and interior designer to design the perfect home. The best part? Sitting back and watching the construction of your dream home while we jump through the hoops and handle communications with regulatory agencies, neighbors, community and building boards or condo/co-op superintendents. Filing Strategy: Filing documentation with DOB, LPC and HPC is not only complicated, but also a common roadblock for even the most experienced contractors. We’ll help you cut through the confusion and jargon to determine the best method to start your project without delay, just like we’ve done on more than 800 completed renovations. Design Development: Your architect works with you to create final design drawings based on schematics created during the feasibility stage to check for code, regulatory and ordinance compliance. Finish Schedule: Collaborate with your interior designer to turn mood board inspirations into stunning tile, flooring, and fixture selections for the perfect interior space. An experienced in-house expediter shepherds your project from plan review to final approval while your dedicated project manager attends DOB, LPC or HPC plan reviews as your personal project ambassador. Once approved, the expeditor and project manager collaborate to meet DOB requirements and obtain your building permit, greenlighting the way so you can break ground. Ongoing relationships with our extensive network of vetted contractors ensures you’ll not only receive the best price, but the best fit to accommodate your schedule and the intricacies of your job. From here, we’ll bid your project to qualified contractors, hand-selected based around your project and its specific needs, and then level these bids for comparison. Once we negotiate the absolute best price, the project’s awarded and work’s ready to begin. To get your project started as quickly as possible, you’ll receive a dedicated expediter with well-established connections across New York and New Jersey who will work hand-in-hand with our legal department to develop an optimal approval plan for you. This integrated effort will ensure your drawings are submitted with accuracy and “to code” to save you time and energy. From regular site visits to contractor negotiation and delivery tracking, we monitor and confirm that approved plans and finish schedules are followed to a T and completed to the highest degree of quality. You’ll stay informed through weekly progress reports and fluid communication about the status of your project every step of the way. Now, for the best part. Sit back, relax, and fall in love with your beautiful new space while we handle final inspections and file the necessary paperwork to close out your project.